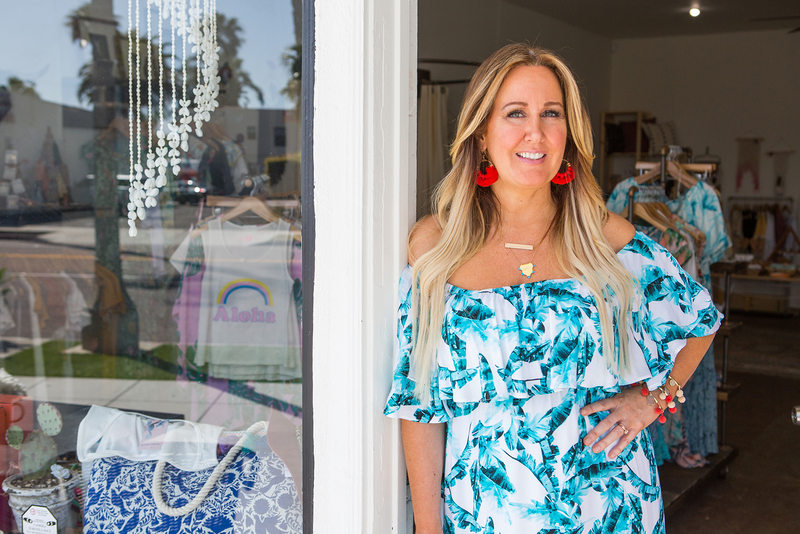 When I got the assignment from La Costa Living Magazine to photograph Brandy Bailey at her Oceanside store clothe + arrow, I was psyched, because I know this store well and I am a huge fan of what Brandy has created with her retail location. 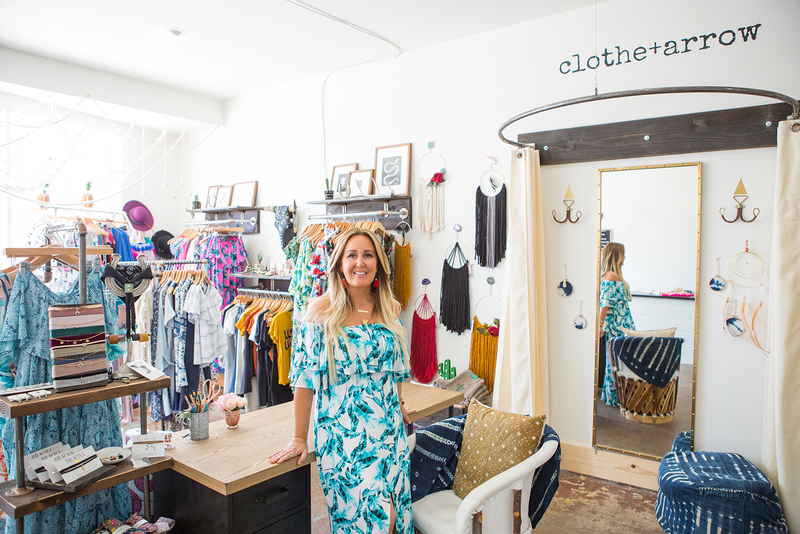 Clothe + arrow specializes in women’s fashion and accessories that celebrate the spirit of adventure and effortless style. 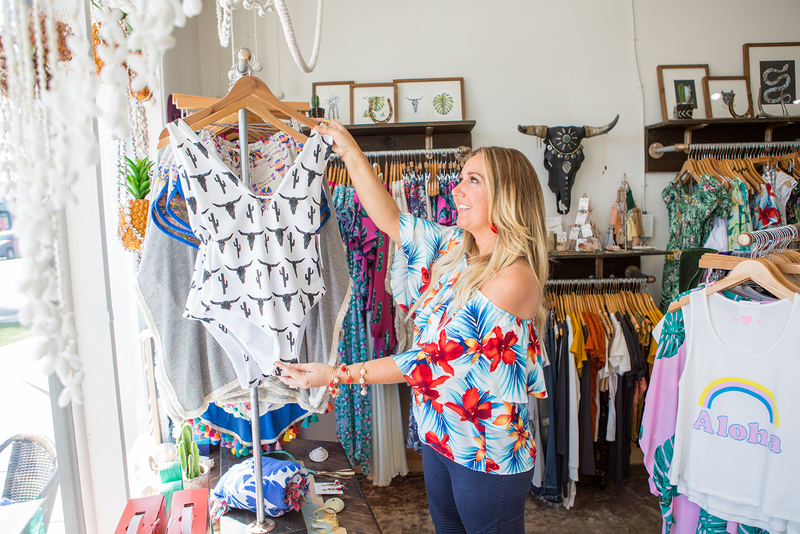 This store “is for the babes who like to take the road less traveled” and Brandy’s love of travel and collecting unique artifacts is represented throughout her store. 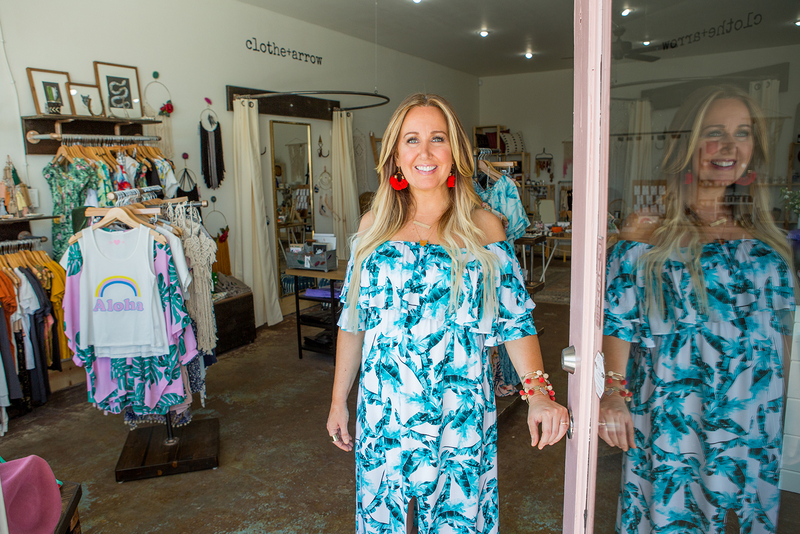 In addition to sourcing treasures (many that aren’t sold anywhere else in California) Brandy is also offering bathing suits that are her own designs. This store represents the renaissance happening in South Oceanside, and is among many new and hip stores opening in this part of town. Next time you’re in Oceanside, come stop in to see what cool treasures Brandy has on offer. And you might just see me there!